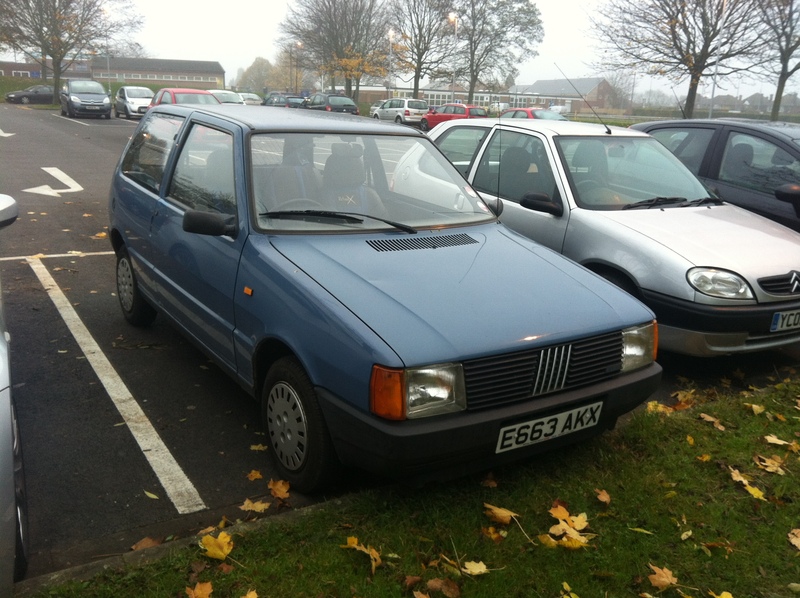 When did you last see a Fiat Uno looking this good? It’s funny how the ravages of time mean that cars that were once fairly commonplace are now seldom seen. Fiat’s first generation Uno is a typical case in point. This very tidy, 3-door 45S model was just parked outside work and looks remarkably straight and standard. Okay, those seat covers haven’t come from Italy but there’s barely a bodywork blemish and even the wheel trims are original. It was remarkably conspicuous due to the infrequency you see them too – tall, narrow (by modern standards) and sharp edged. Its owner should be justly proud.